“A semi-truck plowed into a Weihnachtsmarkt (Christmas market) in the crowded heart of Berlin on Monday evening at around 8:15 p.m. local time in what police believe may have been a deliberate attack”, starts the journal Der Spiegel on its international version. The alleged attack happened on December 19, 2016, in Breitscheidplatz (Berlin-Charlottenburg) near the Zoologische Garten train station and the Kaiser-Wilhelm Memorial Church (Gedächtniskirche), where were more than 170 stands and fairground rides. The Berliner Morgenpost stated that at least 12 people died and almost 50 are injured. “German security always said it wasn’t a question of if but when terrorism would strike”, reminded Politico. Russian President Vladimir Putin stated that “this crime against peaceful civilians is shocking in its savage cynicism.” Reuters refers that this “incident evoked memories” of the attack in Nice last July. As expected, French President François Hollande sent a message of “solidarity and compassion” to the German people. The newspaper Berliner Zeitung claims that one passenger in the vehicle was killed and a 23 year-old suspect of Pakistani origin – who is believed to be the driver, and who ran away at first – was arrested. Angela Merkel’s spokesperson released a statement later that night on Twitter stating: “we mourn the dead and hope that the many people injured can be helped”, while the Chancellor was being briefed by the Interior Minister, Thomas de Maizière, and the Berlin mayor, Michael Müller. Beata Szydlo, Polish Prime Minister, said it was “with pain and sadness we received the information that the first victim of this heinous act of violence was a Polish citizen”, referring to the deceased passenger found inside the semi-truck, since authorities believe that the vehicle was stolen and the driver was killed by the suspect. After the attack, the police raided a Berlin refugee shelter; however, new developments have emerged during Tuesday afternoon. Police sources say that the suspect in custody is the wrong man and that “the real perpetrator is still armed and at large, and can cause further harm” and that they “don’t know if there was just one perpetrator”. 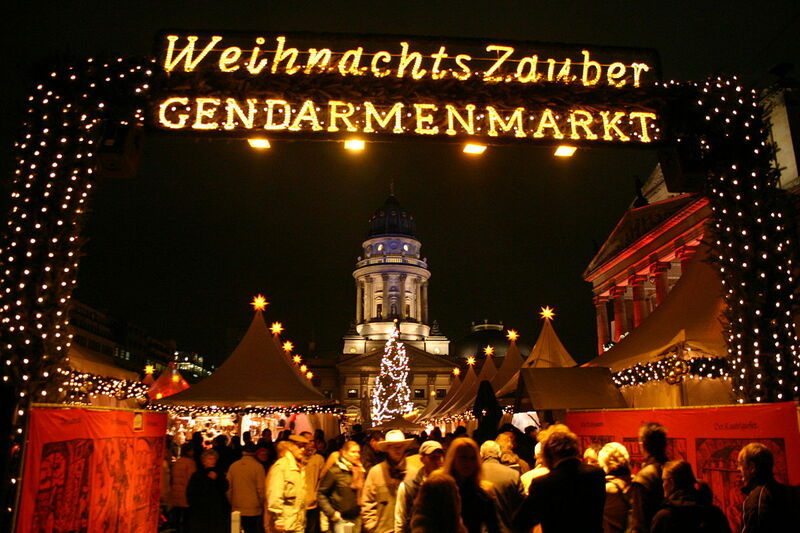 During Christmas time, lots of people gather around these traditional Weihnachtsmarkt to eat, drink and have fun at the end of a work day. On Tuesday evening, the self-proclaimed ‘Islamic State’ (ISIS) claimed the attack. More information is expected to be advanced in the following days, as the Berliner senate and the government will gather to discuss the incident.